A healthy diet can help keep your skin looking its best. Since the skin is an organ, just like your heart or liver, it’s fed by the nutrients in the foods you eat, so the more nutrients you get in your daily diet, the healthier your skin will be. But that’s food we’re talking about. Can you get the same effect from supplements? Many manufacturers would like you to think so. In fact, beauty supplement companies are betting their bottom lines on the hope that you will believe their products will help your skin look and feel its best. Just in the past year, the U.S. saw a 61 percent increase in sales of beauty supplements, with $144 million in sales compared to $89 million last year. Clearly, these supplements are becoming more and more popular. Does that mean you should be using them, too? Beauty supplements (also called nutricosmetics) are similar to regular vitamin and mineral supplements, except they’re targeted to have a specific effect on your skin, hair, or nails. So they often contain nutrients that are linked to benefits in these areas. Vitamin A, C, and biotin, for example, are necessary for healthy skin and hair, so many beauty supplements contain them. You may already get these vitamins in a multivitamin, but beauty supplements often contain them in higher doses than you’d get in a daily nutrient formula. They may also contain other nutrients like collagen, antioxidants, anti-inflammatories, and others that are meant to help you improve your appearance and help delay aging. 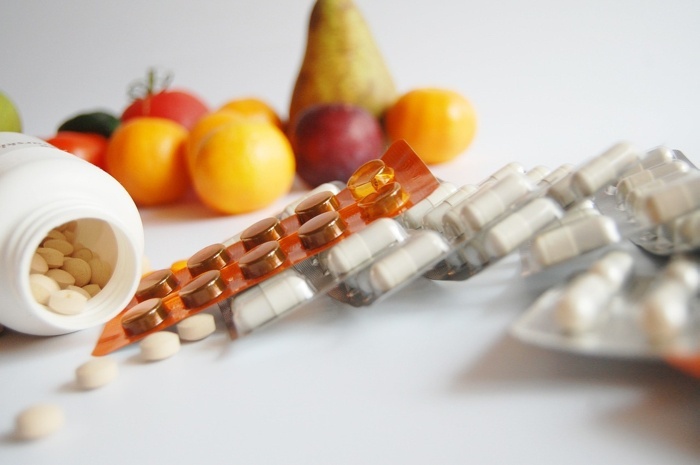 Beauty supplements may come in pill form, or in powders, drinks, or other food items. There are a few reasons why beauty supplements make sense. If you don’t eat a healthy diet most of the time, you may not be getting all the nutrients you need to support your skin’s health. In that case, a supplement may be helpful, but the thing is, we just aren’t sure at this point. Take regular vitamins, for example. Many consumers bought them for decades, convinced that they would help them avoid disease and feel healthier. But recent studies have questioned whether supplements are effective. One recent 2018 review of scientific literature published between 2012 and 2017 found that vitamin D, calcium, and vitamin C did not help in preventing cardiovascular disease, heart attack, stroke, or premature death. Johns Hopkins researchers reviewed information on supplements too, including three different studies that showed multivitamins did not help reduce risk of heart disease or cancer, mental decline, or premature death. They found that not only did multivitamins not live up to their hype, but that higher doses of some vitamins, like vitamin E and beta-carotene, could actually be harmful. They added that there is much stronger evidence that eating a healthy diet helps prevent chronic diseases and gives you all the nutrients you need. The same is likely true of beauty supplements. Are Beauty Supplements Worth the Money? Most dermatologists recommend instead that you focus on food, where the best nutrients are. Some studies are showing that beauty supplements flat out don’t work. A review of research by scientists at the British Nutrition Foundation showed there is “very limited” evidence to support some of the ingredients used in beauty supplements. Further, they noted that while a healthy diet is required for healthy skin, beauty supplements may not add any further benefit. Some nutrients show effects on the skin in a scientific laboratory, but so far there is no proof that they will have the same effects on real skin when taken internally. They have to go through the digestive system, where it’s unclear whether they will be absorbed well, and then get through to the skin. The body tends to shuttle nutrients to the essential organs first, like the heart and the lungs, so it’s hard to tell how much (if any) gets to the skin. Collagen, in particular, is a protein that is broken down in the gut to smaller molecules, and so far there is little evidence that it survives digestion to travel to the skin in high enough quantities to make any meaningful change. There is some early research that suggests that certain nutrients can have an effect on skin, but these are small studies, with some being limited to laboratory results. Polypodium leucotomos: This is an extract of a Central American fern plant. Supplements have been shown to offer some sun protection. Probiotics: Studies have shown they may offer some sun protection. Omega-3 fatty acids: Some studies have shown that supplementation can reduce inflammation and may help reduce psoriasis and acne flare-ups. CoQ10: Animal and laboratory studies suggest it may help provide antioxidant benefits in the skin. Vitamin B3 (nicotinamide): May help reduce the risk of skin cancer. Biotin: May help encourage strong nails. At the end of the day, we don’t have enough research yet to show that beauty supplements will make a visible difference in your skin. So far, eating a healthy diet, exercising, and using quality skin care products are the best ways to get your best skin. If you want to try beauty supplements, they probably won’t hurt you, but if you’re combining them with other vitamins you’re taking, check with your doctor to be sure that you’re not taking too high a dose of anything. Then make sure you’re using a quality supplement from a reputable manufacturer. Finally, take a before and after picture so you can see if the supplement is really helping or not. That can help you determine whether you should keep spending money on it, or if that money would be better spent on an anti-aging serum or quality moisturizer. Do you use beauty supplements?